These newly renovated stores offer expanded food services like fresh salad and hot soup bars, Grab & Go meal selections, unique offerings and flavors and an expanded assortment of organic and better-for-you items. To further celebrate the grand openings, Lucky teamed up with San Jose’s Martin Murphy Middle School and donated $500. 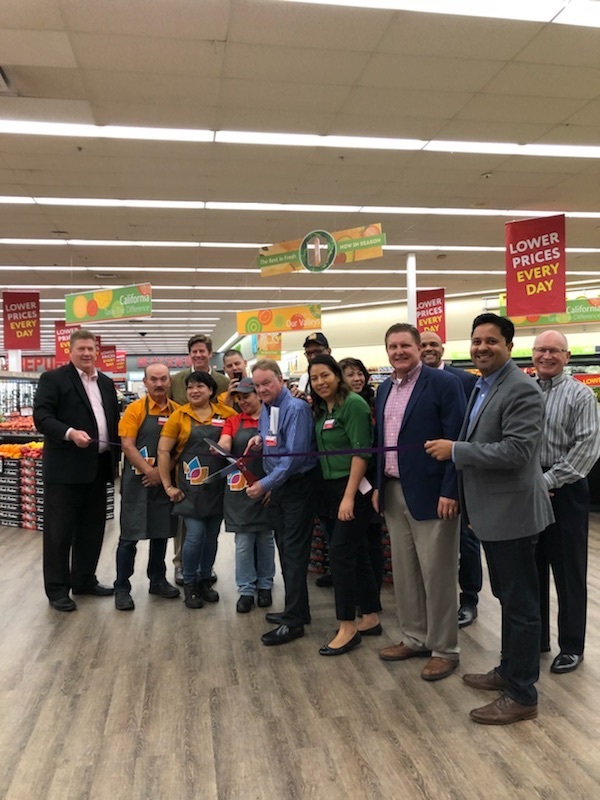 Located less than two miles from the Bernal Road location, Martin Murphy is a proud community partner and a valued member of our Shares, powered by eScrip, program. This program is The Save Mart Companies charitable giving program that donates up to 3% of profits to local schools and nonprofits. This community donation will go towards enhancing many of the school’s programs. Martin Murphy is dedicated in partnering with the community to construct a rigorous learning environment where all students are empowered to achieve, use creative and critical thinking skills, develop a global perspective and to model the core values of respect, responsibility and safety. With 70 store locations, Lucky Supermarkets is a name residents of the greater Bay Area have known for decades. Lucky transforms the grocery shopping experience by embracing California’s spirit, identity, and flavors.